As we move on to Week 10 of the season and it is crucial for fans to know not only which teams are winning, but which are best for betting on; especially with only 7 more weeks left until the playoffs. This is why we will look at each of the franchises Against The Spread (A-T-S) stats to see which teams, even if they don’t have a winning record, still do well enough to beat the spread. These stats go all over the place, and it isn’t always the best teams in the League that are beating the spread more often, although being able to win games greatly influences the bet if the team was the underdog to begin with. 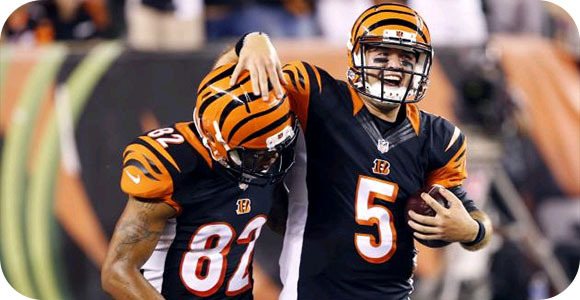 In this particular case, the Cincinnati Bengals have the best A-T-S record, which is what makes them favorites on Week 10; they beat the spread seven times, and tying once. This means that whatever football fan decided on betting on this team would be profiting every single week, with no money lost. Even when they have an 8-0 record, the New England Patriots are not that good at beating the spread. It could be because sportsbooks give them such a high spread to begin with, but they do not do as good when on the road; which is what most would expect. Find the teams that do well on the road, as those games will give you better odds and possibly a bigger payout. Now, teams that lose the game outright doesn’t mean they don’t do well against the spread. The Minnesota Vikings, second highest on the list did not have a good start to the season, but they have made a lot of progress since. If they are playing at Home, the likelihood that they cover the spread is very high. Seeing how each team does at home versus on the road will give insight into when they should be bet on, even if they are the underdog. This can be a great tool to use when handicapping the games, and with NFL Week 10 games coming up, you can be sure to use this information when betting on the lines.